Because they’re pretty. 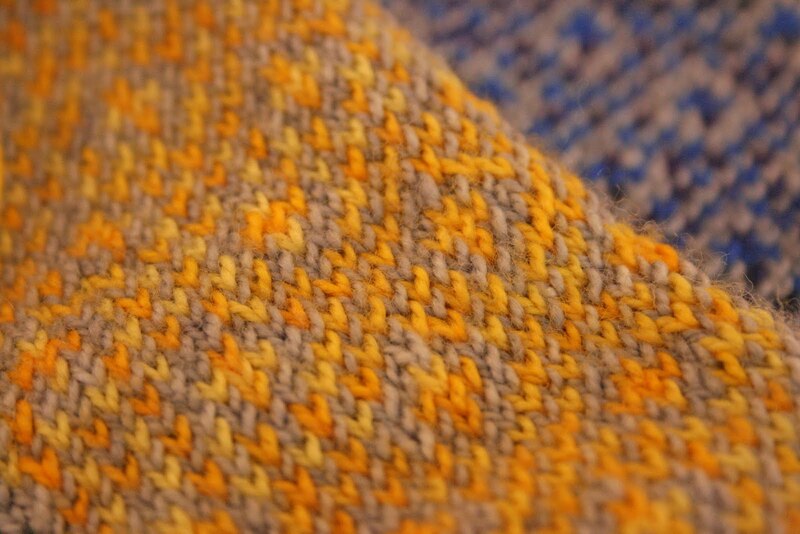 My endpaper mitts don’t match – one is in Silver lining and Chelsea, the other in Silver Lining and Kowhai. They’re a tad small for me so will probably just be used as samples. 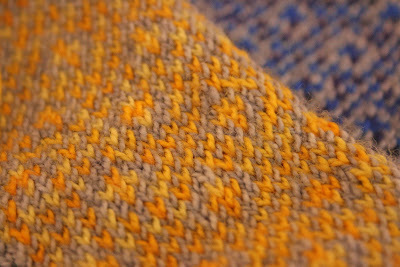 I love how Silver Lining complements each colour, and the single colour stitches bring out the slight changes in tone. For those who think fair isle is tricky – it really isn’t. It’s all about finding how to hold two colours that is comfortable for you. I started out with a colour in each hand, but couldn’t quite get the rhythm down. Holding both in one hand, with silver lining held normally, and the second colour sitting just below it to be picked up when needed, worked for me. 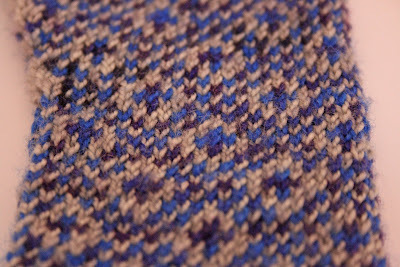 The good thing with the Endpaper Mitts pattern is that you don’t need to worry too much about twisting at the back to carry a colour across, so it’s a good project to learn on.